The Optimization of Medical Accelerators (OMA) is an international collaboration of 33 institutions which during the four year project duration will train 15 early stage researchers in the field of particle beam therapy for cancer treatment. The project started in February 2016 and is funded under Horizon 2020 Marie Skłodowska-Curie European Training Network scheme. 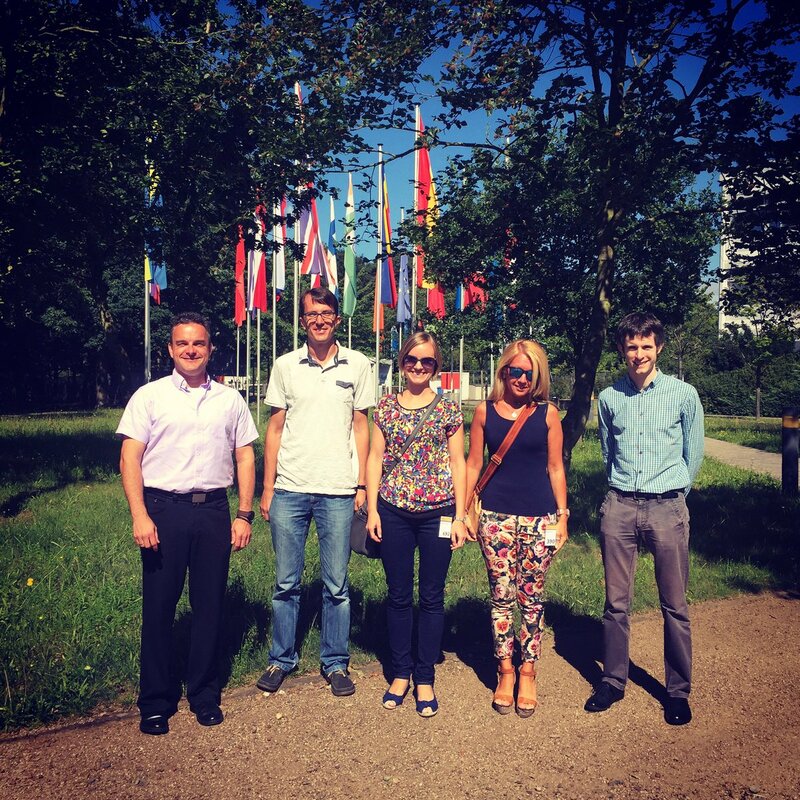 The second meeting of the OMA Steering Committee took place on August 1st, 2016 at GSI in Darmstadt, Germany. It gathered representatives of CNAO, IBA, GSI and University of Liverpool. Chaired by the Project Coordinator Prof. Carsten Welsch the meeting aimed at reviewing activities since last meeting and plan next project actions and events. Project Manager Magda Klimontowska gave a brief overview of recruitment results and presented information on the fellows recruited. The communication activities from the last six months were also summarised and discussed. Later in the day a brainstorming discussion on next year activities and events took place, resulting in detailed plans for two OMA schools that will be hosted next year at the University of Liverpool (OMA Complementary Skills School) and at CNAO (OMA School on Medical Accelerators) and initial ideas for the OMA School on Monte Carlo Simulations, to be organized in autumn 2017. Opportunities for collaborations with other ITNs were also discussed and received positive feedback from all the SC members who see this as an important added value for the project. SC also approved accession to the network of two new adjunct partners: C-RAD and DTBS of CEA/LETI. At the end of the meeting next steps for communication were agreed, with strong emphasis of all partners contributing to this aspect of the project. Many thanks to Christian Graeff and the team at GSI for kindly hosting the meeting.